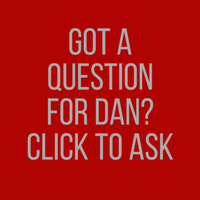 In this episode Dan unpacks these very common questions. 2. Work seems to be a burden for the whole lot of us, with the only driving hope being the idea of more money “one day”. 3. Nothing that has purpose makes a profit, and nothing that makes a profit has purpose. 4. To make money, you have to do something meaningless at best. Call to Action – What are you doing now that blends passion, talent and money? Dan shares a Bible passage from Ecclesiastes 2:17-23 that is eerily similar to this listener’s question. As Dan found out more about this listener, he is 42, married with two kids, a strong Christian and does high-end residential remodeling and construction. Dan shares the trifecta of Vocation, Career and Job. Vocation is the largest component and the element you want to identify first. It is what you want to accomplish. Career is a subset of vocation and job is the smallest component. Dan shares an example of his cousin who is very successful in the construction industry and has been able to use that as the fuel for his passion and purpose of flying supplies to Haiti. He also shares his own experiences as a used car salesman and how he found purpose and passion in that work. 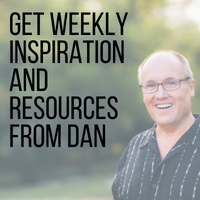 Dan shares his own purpose statement and some of the ways he aligns that to his passion. For example, creating a library of books about finding work you love for a welfare to work organization in Kansas City. The story of Steve Askinosie, a criminal defense attorney who found his passion by visiting local hospitals. Find his book: Meaningful Work here. Questions to ask yourself to discover your passion (from Wisdom Meets Passion). The Three Legged Stool: Passion, Talent and Money. Your sweet spot is where those three things come together. Dan shares a recent example of a client who lost his job and shared with him his love of golf clubs. He’s now exploring expanding his “side job” of buying and selling golf clubs into a job he loves. Freshbooks cloud accounting software- To claim your month long unrestricted free trial with no credit card required, go to freshbooks.com/48days and enter “48 Days” in the “How Did You Hear About Us?” section. Dan unpacks this issue more in his book Wisdom Meets Passion. Get it here along with the study guide he talks about. 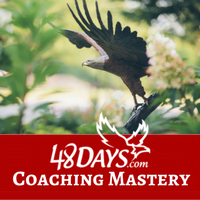 Do you have what it takes to be a coach? Take the quiz to find out. I’ve lost my passion but need to make money now! Can I make money as a juggler?